Fearless Summer is boldly unfolding as one of the most active seasons of direct actions against dirty energy in American history. Join us in supporting, organizing, and staging some of the following initiatives instigated by Wild Idaho Rising Tide (WIRT) and our courageous comrades across the continent. WIRT is coordinating regional carpools departing Moscow, Spokane, Boise, and Missoula for all of these events. Because we will be traveling to these great convergences throughout July and August, please RSVP preferably by phone (208-301-8039) or email (wild.idaho.rising.tide@gmail.com). Peruse our constantly updated Events Calendar page of the WIRT website and contribute what you can toward our ever-expanding and escalating resistance campaigns. With mountain camping on beautiful private lands near the continental divide and Butte, the Montana Moccasins on the Ground nonviolent direct action camp, planned and prepared by Indian People’s Action and Montana environmental justice allies, will be led by Debra White Plume and Owe Aku. One of three caravan vehicles successfully concluded the Second Tar Sands Solidarity Journey on Tuesday evening, July 9. Doug, Helen, and John explored the Canadian Rockies while traveling to the Fourth Annual Tar Sands Healing Walk and documented the tar sands megaload route during return to Moscow. Several miles after re-entering the U.S. in Glacier National Park, lightening surrounded/struck their vehicle. They were blessed and energized by such great forces entering their unharmed lives. Another two solidarity journey vehicles arrived in Moscow on Wednesday, July 10, bringing dog Annie, Dan, and Pat, Anne, James, and Patrick safely home. Please see the WIRT facebook page for photos of nine Idaho and Nebraska tar sands activists commencing the trip to northeastern Alberta, after a pipe ceremony on Wednesday morning, July 3. Returning from the healing walk along the Idaho/Montana/Alberta tar sands megaload route in reverse, participants spotted three megaloads parked without security by oil field hauler Entrec near Hannah, Alberta, on July 7. The cylindrical modules appear suspiciously similar to two December 2012 Omega Morgan transports. We suspect that their passage originated at a tar sands component manufacturing plant in Billings. Beyond these few group and megaload photos on the WIRT facebook page, we will post photos of the journey, walk, and megaload route soon. Plan to attend the Fifth Annual Tar Sands Healing Walk and third WIRT solidarity journey, to enjoy natural beauty along the way, by driving back roads, hiking, and camping. 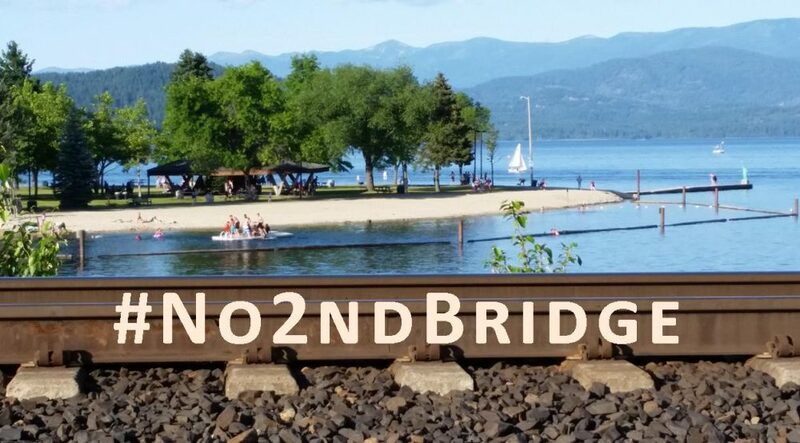 Trains carrying fracked Bakken shale oil have increasingly passed every day since last fall through Sandpoint and Spokane, bound for Northwest refineries and export terminals. When (not if!) will an accident similar to the derailment/explosion in Quebec occur in our region, while mercenary companies plot ever more Northwest fossil fuel ports, and local news fails to mention the threats of oil transport? (Renewable, alternative energy requires much less flammable, leakable gases, liquids, or solids.) After the oil train disaster in Quebec, Port of Vancouver commissioners have decided to evaluate the public safety risks and dangers of Tesoro’s proposed massive Bakken shale oil terminal. They will likely postpone their July 23 vote on its rejection/approval. On Wednesday, before renewed oil and gas drilling in Idaho, Governor Otter appointed five members to the legislatively approved, restructured Idaho Oil and Gas Conservation Commission that “regulates the exploration, drilling, and production of oil and gas resources on private, state, and federal land in Idaho.” Stakeholders replacing the five top elected state officials composing the Land Board, with staggered, four-year terms, represent water, geological, and oil and gas interests and landowners without mineral rights and with mineral rights in active oil and gas development areas. On Friday, July 12, Alta Mesa Services started drilling the Smoke Ranch natural gas well after having a small hydraulic rig in place for several days. Because WIRT lacked enough timely notification to protest this rampage, we await opportunities to stage direct actions at other wells that crews are preparing for drilling and/or fracking. Information sources in the southwest Idaho region have recently observed multitudes of hidden equipment, transport trailers, drill pipes, and well pads awaiting likely escalating utilization, as well as water for Smoke Ranch operations withdrawn from irrigation canals. With equipment on-site, Alta Mesa Services has begun drilling the Smoke Ranch and soon the ML Investments “petroleum” wells and are seeking permits for a seven- to ten-mile pipeline connecting Payette County wells to the pipeline near Idaho Power Company’s Langley Gulch natural gas plant by New Plymouth. The company sold condensate, a lucrative mix of petroleum liquids nearly as pure as jet fuel, derived from flaring/testing earlier this year, to a Salt Lake City refinery. Supposedly without fracking, “drillers will use well treatment, a long-established process of sending liquids and sand down a well under high pressure to enhance gas flows.” Although its website states otherwise, the Idaho Department of Lands is purportedly considering a third drilling permit. No flashlights needed on camping excursions in Idaho: the wilderness state glows in the dark with more radioactive waste every year! The world premiere of Gasland II, a sequel documentary about fracking hazards, aired on Monday evening, July 8, on HBO. WIRT is searching for someone who could record the film from HBO, for a subsequent Moscow community screening and discussion about fracking in southwestern Idaho and eastern Oregon following this historic film. If you could provide such a service, please see the HBO schedule for Gasland II, contact WIRT activist Rachel Clark through facebook, and/or suggest a local screening venue. With Idaho Residents Against Extraction (IRAGE) colleagues, we are working to invite Josh Fox to Idaho soon. News of our June 27 Coal Export Sacrifice Zone Uprising in Coeur d’Alene and Spokane reached activists nationwide through the Fearless Summer website. Also check out the amazing, inaugural Fearless Summer actions of our friends in Missoula, Seattle, and Utah, as described at this internet site. We are tracking the court cases of the two Spokane defendants cited for railroad trespassing at this action and will update you as information becomes available. Returning belatedly to the region from the Tar Sands Healing Walk in Canada, WIRT activists did not participate in rallies and testimony at the Oregon Department of Environmental Quality (DEQ) hearing in Hermiston, but many of our allies presented a strong show of force: THANKS! WIRT did send comments on the draft DEQ air, water, and storm water permits for Ambre Energy’s Coyote Island coal export terminal on Friday, July 12. Friends, WIRT is urgently requesting your donations to offset our hundreds of dollars of travel and operating costs and our participation in WIRT/allied protests of dirty energy projects in or near Boise, Spokane, Alberta, Utah, Portland, and eastern Montana. We have been working hard for you for years and can only continue with your support. Please pitch in soon!